Two of the hottest topics at NATE UNITE 2019 in Grapevine, Tex. last week were contractor payment terms and the possibility that an upsurge in the establishment of large contractors could be injurious to the industry mainstay of smaller companies. Wireless Estimator’s recently published results of an extensive contractor survey, was frequently discussed amongst NATE’s members and the Association’s directors as well as during a number of educational sessions, such as Challenges Faced by Industry Veterans with panelists Craig Snyder of Sioux Falls Tower & Communications and Pat Moore of FDH Infrastructure Services, LLC that was moderated by John Lamond of GME Supply Co.
Their topics spilled over onto the exhibit hall floor since challenging contractor cash flow will affect vendors’ profits. 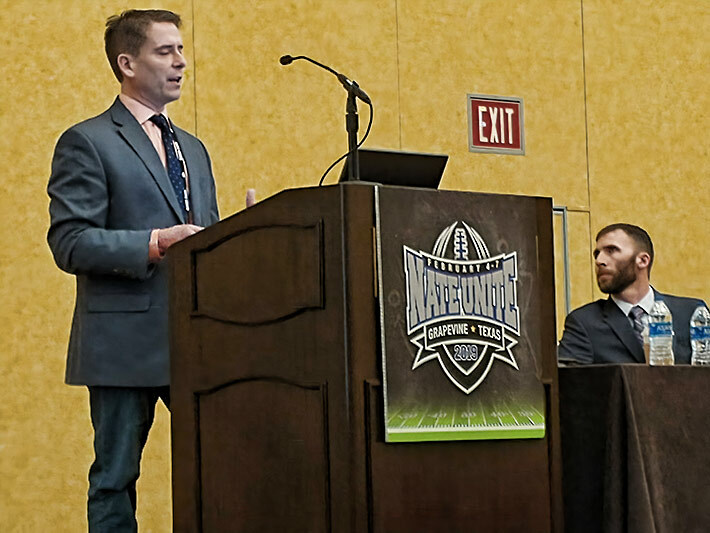 In the business session Contract Terms, Mike Young, President, Sioux Falls Tower & Communications, and Brian Gramm, Managing Partner, Seemore Hawk frequently discussed the survey and offered suggestions as to how contractors can partially jump over some hurdles. Young emphasized that sometimes companies had to look inward and see if their management could be more efficient in managing their invoices so that they could reduce the payment period and increase their cash flow. It was also suggested that contractors should reinvigorate their workforce by learning some of the skillsets required for small cell installations. Easier said than done, one contractor informed Wireless Estimator. The company owner said he was led to believe that he would be provided with hundreds of small cell installations and he hired a project manager and was on the verge of acquiring bucket trucks and other necessary equipment. After providing considerable time and effort to provide his lowest matrix pricing, he was informed that he would only be given six sites and there was a possibility that the carrier would require additional price reductions. Gramm, who spoke on the importance of having a “cash flywheel,” said that prior to the session he had read the full survey report and was taken back by the terms being offered to the industry. Gramm consults for many businesses in multiple industries and said that he has never seen where clients would not allow their contractors to markup minor and major materials and cranes. The survey identified that 80% of all contractors had clients that would not allow them to markup materials, a common practice of most carriers. That percentage may even be higher since 20% of the responding 260 contractors said that they did not do cellular work. Wireless Estimator met with a number of turfing vendor and contractor executives who said they would be amenable to discussing the problems on an informal level. When AT&T and other carriers were ramping up for LTE, they enticed major contractors to ensure that they would have the resources to manage their builds. But AT&T shut off the site-build spigot in 2014 and those major players lost millions of dollars shuttering training facilities and disposing of unneeded equipment. However, Bechtel, Empire and other companies are again staffing up to take on the 5G builds they anticipate. Ericsson’s drive to train and staff hundreds of tower crews also entered many contractor conversations at NATE. On Feb. 4, 2019, Ericsson held a ribbon cutting for their 26,000 square-foot Center of Excellence training facility in Lewisville, Tex. where FCC Commissioner Brendan Carr observed how field services technicians experience best-in-class training and support. Carr later said that Ericsson planned on training and hiring 500 technicians. If they add that complement of workers to their existing workforce, they will be the largest telecom contractor in America. A former Ericsson manager informed Wireless Estimator that he believes that – although Ericsson’s pay is higher than at most contracting companies and there are additional benefits – the company can be successful as it expands for two primary reasons, payment terms and higher margins. Although there is no current data as to what percentage of a site build the turfing vendor gets, three years ago, according to documents provided to Wireless Estimator from one market identified that the TV was taking 40% to 50% off the top to manage a construction project. Some industry observers believe that a resurgence of large contractors employing their own crews could be problematic for smaller operations. 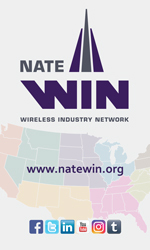 “If you have eight or 10 large contractors doing the majority of 5G work, it’s natural that the carriers will not have the influence over them that they currently exert today,” said a mid-sized Southeast contractor.